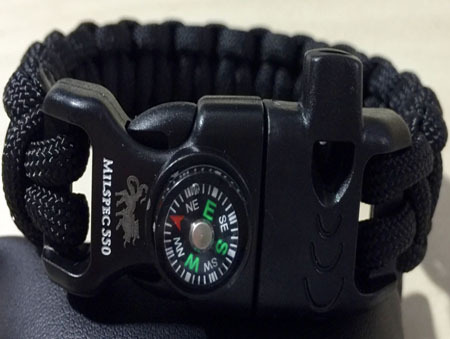 The Trooper is the newest in our range of Military Bracelets. 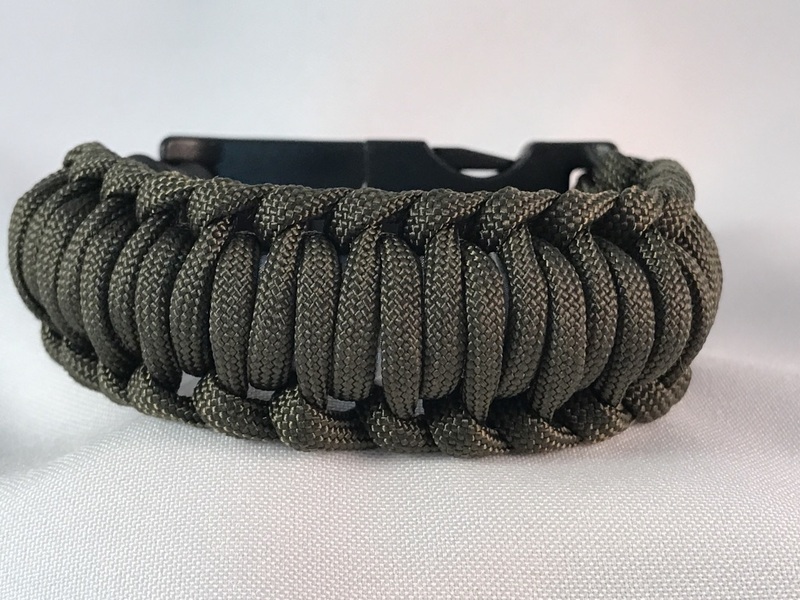 It comes in Olive Drab, Black or Olive Drab & Black. 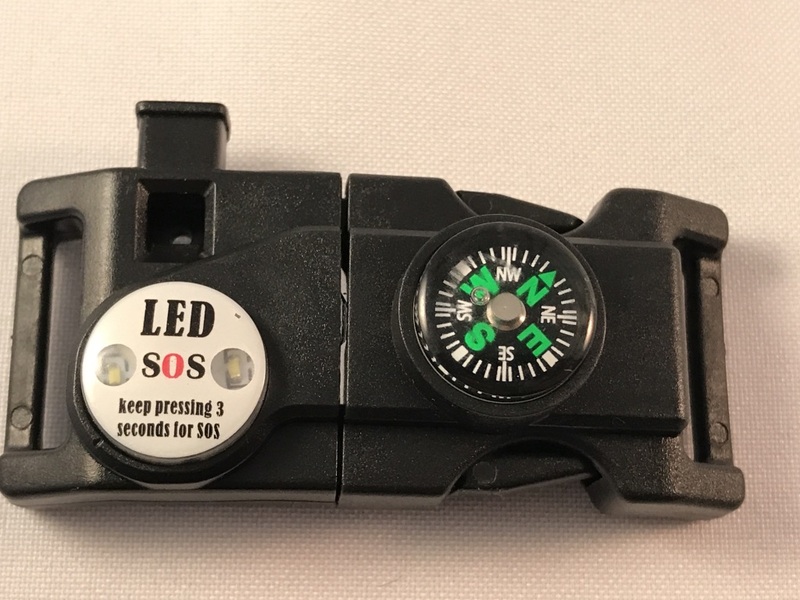 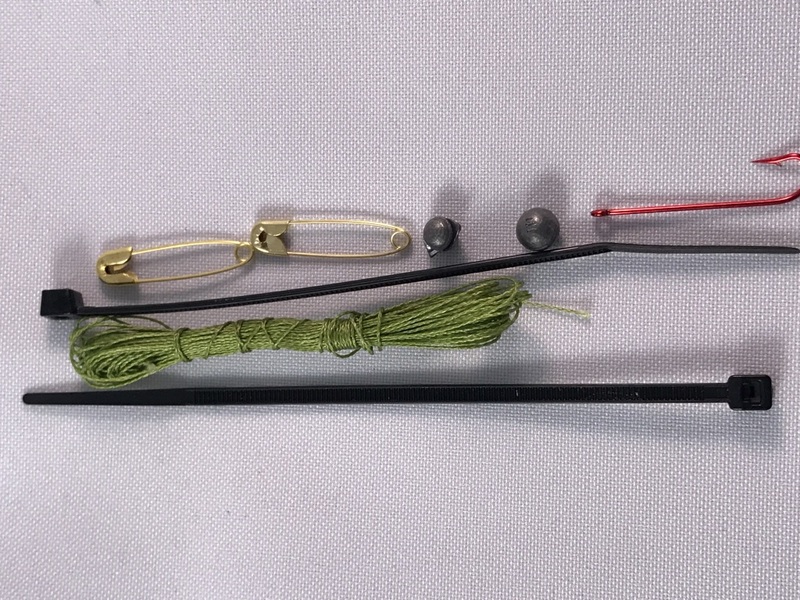 Torch, that can flash SOS, whistle, compass, 2 blades, 2 ranger bands, flint, fishing kit, 2 zip ties, reflective tape and Tinder. 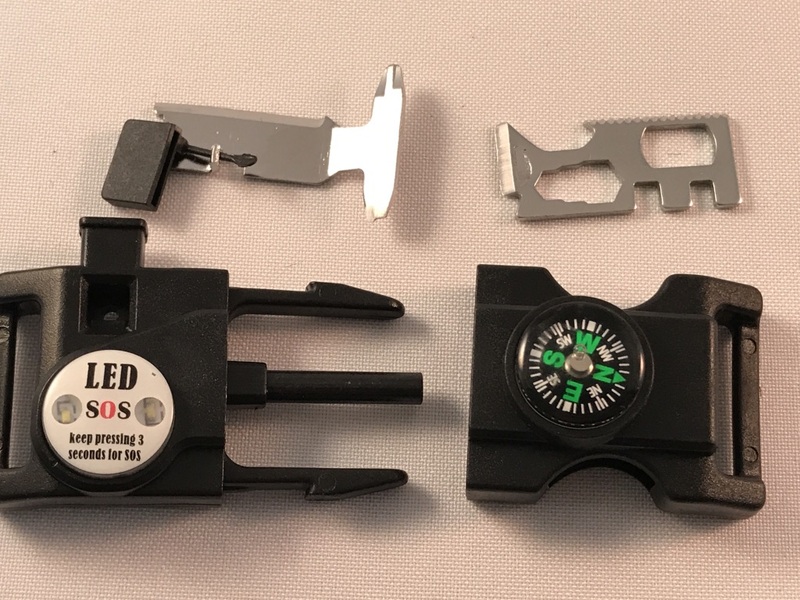 Both blades pull out of the buckle for use. 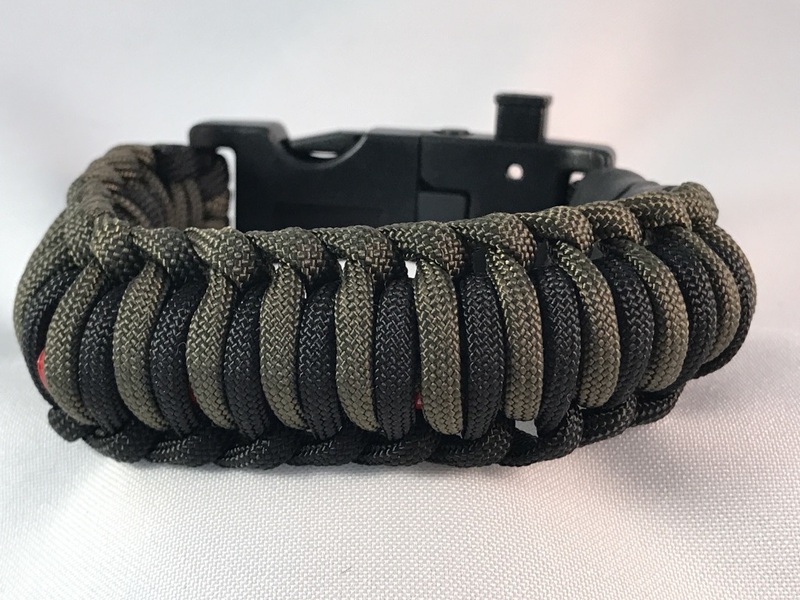 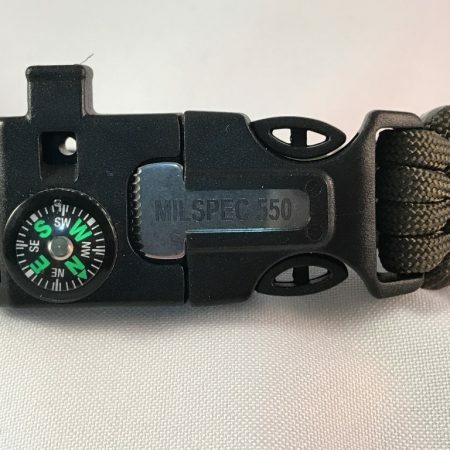 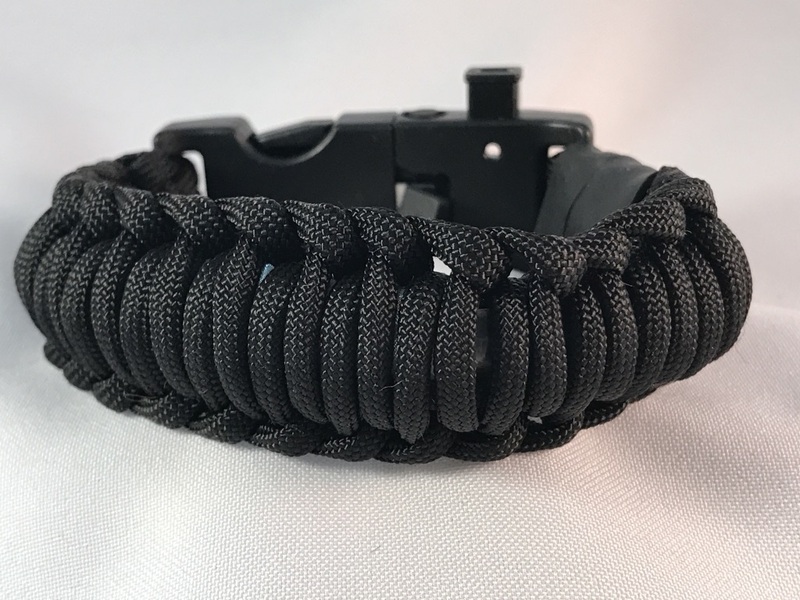 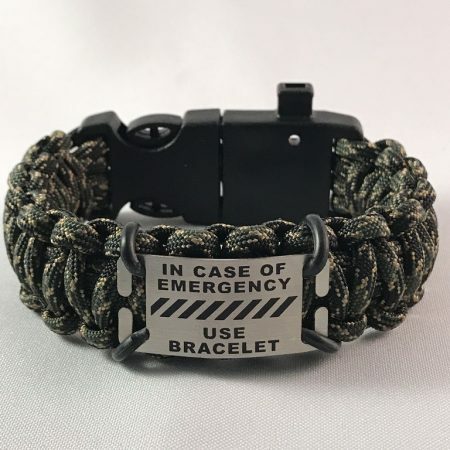 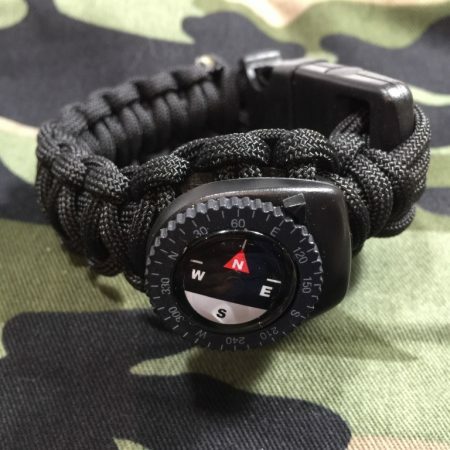 This is a great bracelet for the Urban Survivalist that wants more from his equipment.